We always provide free shipping when you buy two or more Timesulin units. Timesulin is manufactured in 4 different models that are all different size. Therefore it is important you choose the correct Timesulin model. Please take a moment and see what it reads on your insulin pens label (supported models : FlexPen, SoloStar, KwikPen & FlexTouch). This is all you need to know. 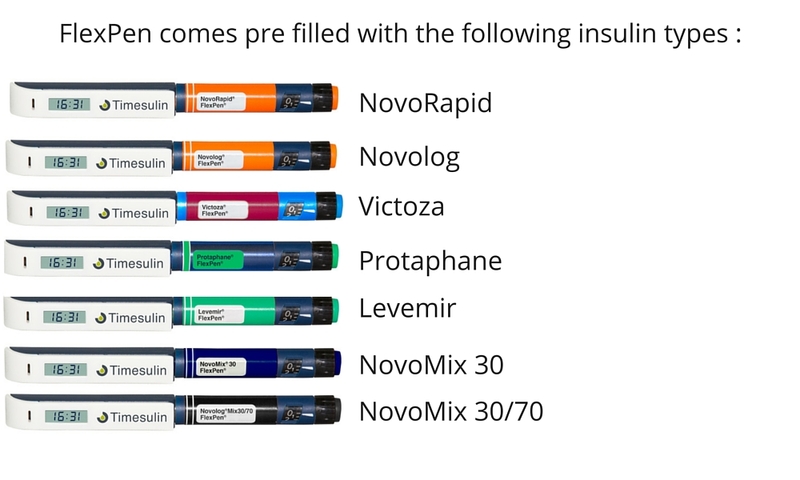 Please use our pen guide-page if you are still uncertain which insulin pen you are using.